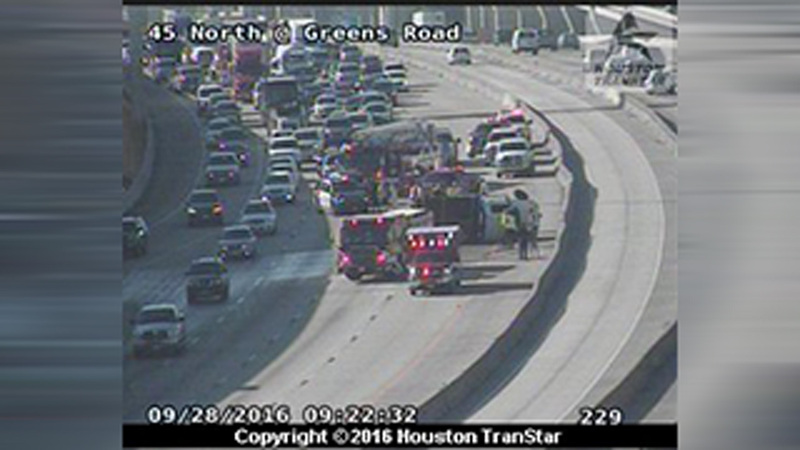 HOUSTON (KTRK) -- An accident involving a work truck has three left lanes blocked on the North Freeway northbound at Greens Road. Several vehicles appear to be involved, including the work truck that is laying on its side. Emergency crews are at the scene working to clear the wreck. We are not aware yet of any injuries, but we do know this accident is causing some major backups on the North Freeway.